All Posts Tagged With: "Brushes and tools"
Looking for a new eye lash curler? 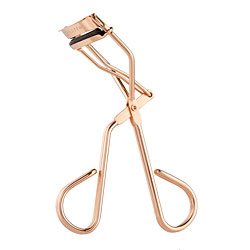 Tweezerman Pro Curl Curler ($20) comes with a distinctive rose gold design and it is ergonomically crafted for a pinch-proof precision. Perfectly designed to fit all eye shapes. 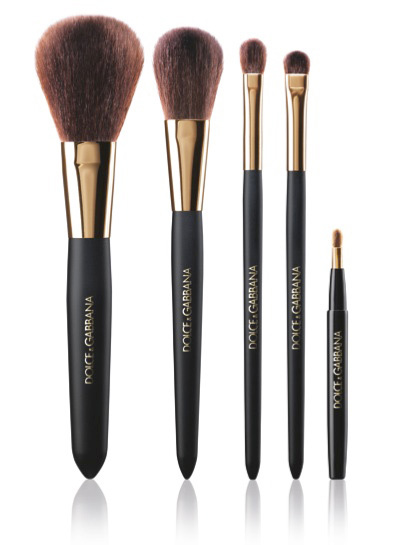 Introducing Dolce&Gabbana The Brush Collection a collaboration with Pat McGrath. In an invaluable collaboration with Dolce & Gabbana, superstar make up artist, Pat McGrath lends her immeasurable backstage experience and unrivalled expertise to the design and development of The Brush Collection. “As a professional I know that the quality of make-up tools are just as important as the quality of the make-up, if not more so, “says McGrath. “Our goal was to create tools for a beauty ritual that’s effective, effortless and luxurious – and for each brush to exist as beautiful object in itself. It was very rewarding to help develop these remarkable brushes; they’re the perfect tools for delivering a polished perfected look that every woman can easily achieve”. Few weeks ago I was given an incredible opportunity to interview actress and FAME star Kay Panabaker. It was such pleasure chatting with Kay over the phone. She came across as extremely intelligent, witty, and very dedicated young woman. She completed her BA in History from UCLA before she turned 18! And, she is beautiful. Watch out Hollywood! Kay gave me the biggest compliment: “Thank you for an intelligent interview and questions. I’m not used to those. I’m used to ‘What’s your character like’ and ‘Whose the most famous person you have in your cell phone’. I appreciate this interview, it was great.”-Kay Panabaker. Kay Panabaker plays the role of “Jenny” in the upcoming film FAME, a movie based upon the 1980 film which follows NYC talent attending the New York City High School for the Performing Arts, (Known today as Fiorello H. Laguardia H.S.) The Movie “FAME” is in theatres September 25th, 2009 (USA). I caught up with Kay one afternoon this summer to chat about her love for acting. Her charcter “Jenny” in the upcoming film “FAME”. How she finds the balance between life and an acting career. Kay even reveald to me what’s in her makeup bag and future plans. Marta Walsh: Why have you decided on a career in acting? How did it all began for Kay? Kay Panabaker: My sister (Danielle Panabaker) and I kind of fell into acting. She and I used to do the same activities, like dancing. We would then take the same dance classes, and then the same print work and commercials. That was back in Georgia. When we moved to Chicago we started to do more theatre. One of our agents then recommended that we should move to LA. My mom was very skeptical. She told us it was a crazy idea and that we will never make it. So in a way I fell into acting, but I’ve been loving it pretty much from the beginning. When I was 10 I hardly even watched TV, so I don’t how I discovered the love for acting and movies. MW: How do you find the right balance between school and enjoying life as a young woman and at same time working in Hollywood? What advice can you give to young aspiring actors and actresses? KP: School and education are very important to me and I believe it is possible to do both. Just because you want to be an actress doesn’t mean you can’t go to school. I started community college when I was 13. I used to go to work during the day and go to school at night. I would do my homework in whatever spare time I had. Sure there is a sacrifice. I gave a bit on a social life but I made it work, and I’m so thankful that I did. I now have a degree I can fall into. I have more options. I got my degree so young I can even still go back to school if I decide do. There is nothing I can’t do! I’m excited to share with you a brief interview with Lauren Conrad the fabulous mark Cosmetics face and star of MTV’s hit series The Hills. If you are like me, adore Lauren’s effortless beauty and style, then you might want to find out how she makes it all happen. In this interview Lauren Conrad talks about her favorite mark makeup products, what’s in her makeup bag, style and beauty secrets, and future plans. Marta Walsh: What do like most about mark Cosmetics? Lauren Conrad: I like that it is easy to take on the go. 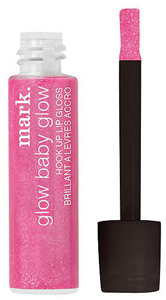 The hook ups are great as I can bring a lip gloss and eyeliner together in my bag. 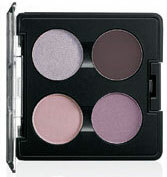 mark cosmetics are really perfect for someone who wants to be fashionable and beautiful on the go. MW: What’s in your makeup bag right now? 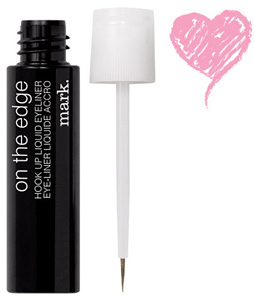 LC: I never leave the house without marks On the Edge Hook Up Liquid Eyeliner in Cleo, Glow Baby Glow Hook Up Lipglosses and a tube of Aquaphor. 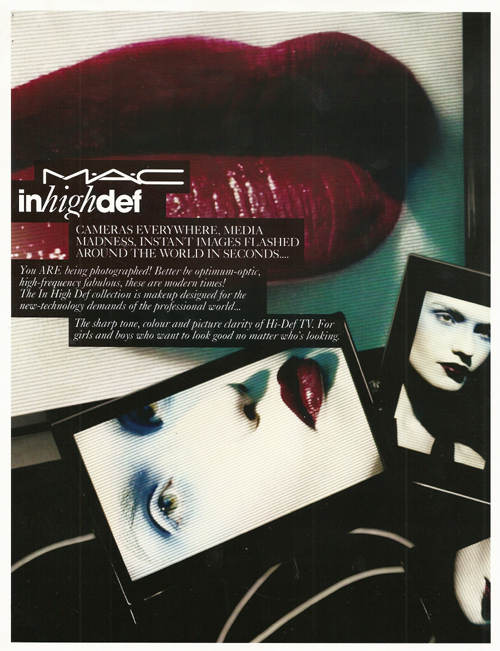 MAC In high Def makeup collection will be available September 10th-October 2009 at MAC Stores only. MAC In High Def: Cameras are everywhere, media madness, instant images flashes around the world in seconds… You ARE being photographed! Better be optimum-optic, high-frequency fabulous, these are modern times! The In High Def collection is makeup designed for the new-technology demands of the professional world…The sharp tone, colour and picture clarity of Hi-Def TV. For girls and boys who want to look good no matter who’s looking. Face and body foundation formulated for flawless replication; at last, you achieve perfection expected on screen at all times. A complementary collection of Lipstick, Lipglass, Mineralize Skinfinish/Natural applied with the 187 Duo Fibre and 188 Small Duo Fibre Face Brushes fool the eye, and the camera. The very best in the new look of Hi-Def, made easy. Talking Makeup is excited to introduce you to the Estée Lauder Virtual Makeover Widget – the first-ever branded makeup widget of its kind that allows you see how makeup products will look on your own face before buying! You can download the Estée Lauder Virtual Makeover Widget to your desktop or social media page and upload your own photo – from finding the right foundation and lipstick to discovering your best blush and eyeliner, the possible looks one can try are endless! 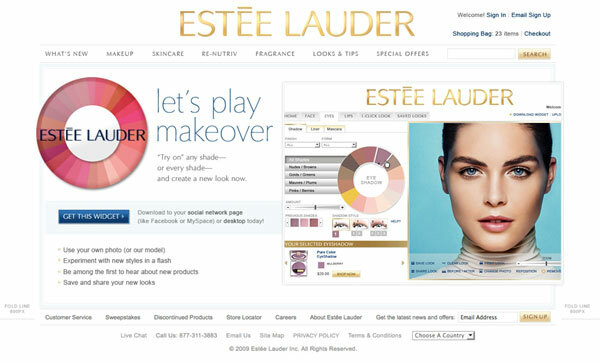 The state-of-the-art technology enables users to play with the Estée Lauder makeup collection, customize looks product by product or instantly apply ‘one click looks’ from current advertising campaigns and new color collections. From the shimmer of an eyeshadow to the wet shine of a lipgloss, online shoppers can now realistically visualize and experience the Estée Lauder makeup line. 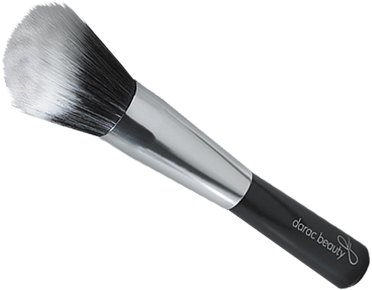 Darac Beauty Sifted Blur & TourQuam 3-D Face Sculpting Brush: I use both to touch up my makeup on the go. The TourQuam 3-D Face Sculpting Brush ($40) is one of the best makeup brushes I’ve ever used. I met Darac in New York City this past July, and listened to his fascinating story of how he invented this very unique makeup brush. I love entrepreneurs and inventors, and Darac is no exception! TourQuam takes what you know about conventional makeup brushes and abolishes it into to the dark ages. Today, the type of brush you use to paint your walls is the type of brush you use to apply cosmetics. they pick up and deposit a clump of product in one place, so you waste time blending it out; it is impossible to get into the corners and facets of the face; application is heavy and cakey. TourQuam 3-D Face Sculpting Brush after use. Darac Beauty resolves all of these problems with multiple layers of patented technology housed in one brush, creating 3-dimensional beauty. *Please be advised that this brush contains magnets that may interfere with a pacemaker or similar medical device. Also comes in a bigger size: TourQuam Luxe. Chantecaille is proud to be part the eagerly awaited feature length film Sherlock Holmes directed by Guy Ritchie and staring the beautiful Rachel McAdams and Kelly Reilly. Sherlock Holmes is opening December 25, 2009. Givenchy’s Artistic Director, Nicolas Degennes, imagined a “Romantique” mood when he created the makeup collection for Autumn 2009. The dominant theme is vivid pink, a translucent, shimmery version that elevates the girly tone to an utterly chic and decidedly elegant effect, contrasted with shades of grey, beige and gold. 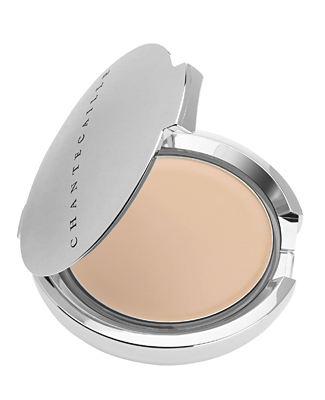 A fresh, natural complexion recieves a texure contrast with uber-glossy lips and shimmery eyes. This dichotomy is also reflected in the striking packaging. Classic black cases are accented with the collection’s signature pink tone and metallic silver touches. The final result is simintounsly modern and timeless. 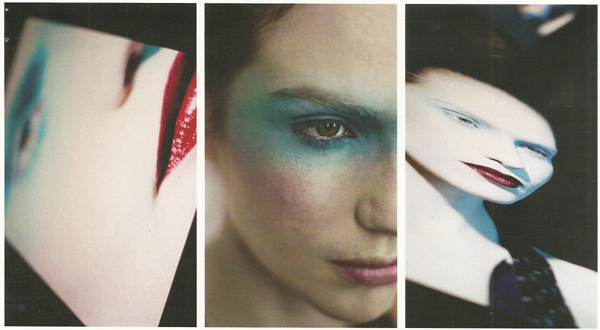 This season MAC celebrates the idea of the Artist in every shade and stripe…makeup as art form. MAC has selected three individuals who exemplify this idea through both the subjects they choose, and the wildly individual styles and colours used to convey them. Bold, heroic, big; giggly, playful, clever; dramatic, original, abstract: Fall ’09 as seen by Richard Phillips, Maira Kalman, and Marilyn Minter. Be inspired. 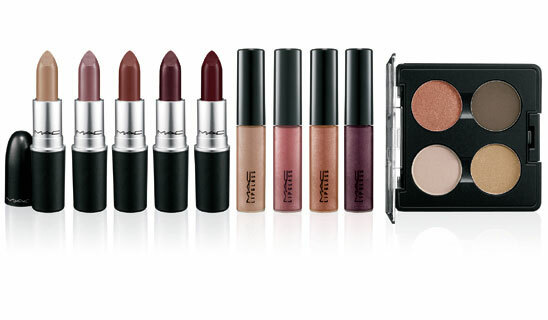 MAC Make-Up Art Cosmetics will be available for a limited time starting August 20, 2009. 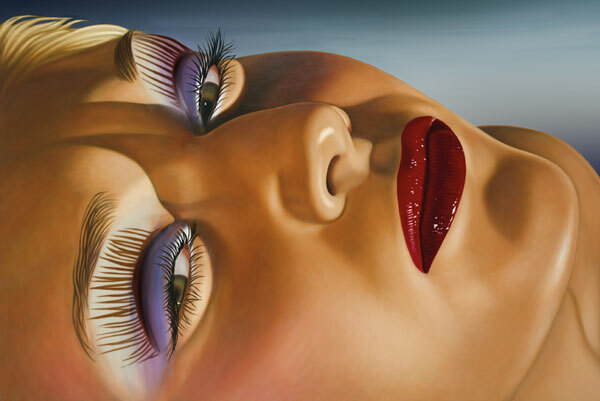 FALL ’09 AS SEEN BY RICHARD PHILLIPS, PAINTER: Using the expert skills of a photo-retoucher, Richard subjected his own painting to a MAC makeover with the new eye shadows, blushes and lipsticks. 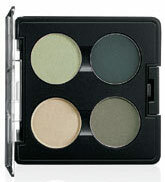 A collection of Eye Shadow quads, Lipsticks, Lipglass, and The Perfect Cheek Blush just leap off the canvas!